Keeping up with The Caseys: #SPDL Wooden head board! 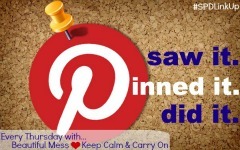 Once again, I've been Pinspired to link up with Katie and Stephanie for the Saw it, Pinned it, Did it link up!!! These girls and this link up ROCK! If you aren't already doing this, go nose around at the other bloggers that are and you will be motivated to find something on Pinterest and make it your own. If you don't already follow me on Pinterest, you can find me here! For a while now, I've been in love with barn board. 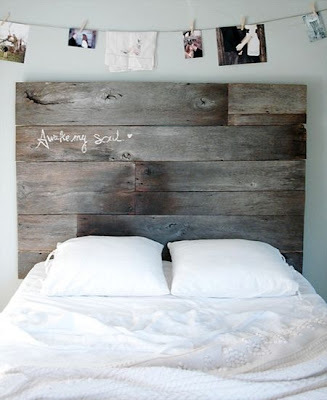 I love how old it looks and I especially swoon over the barn board headboards! I walk a very thin line between country and industrial style. I despise classic country home decor (you know the plaid curtains and wooden cows above the doorways etc) so I tend to stay more towards vintage, industrial but with some pottery barn flare. 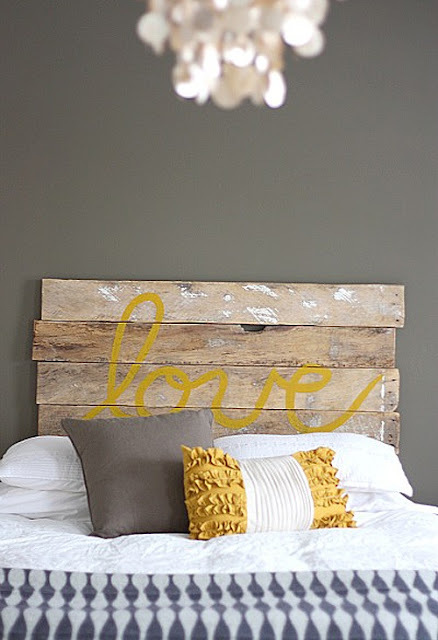 Here are some of the headboards that I lurve via Pinterest! I love the whole entire wall, and I fell in LOVE with it!!!! You need pre cut pieces of wood and then stain them. I distress a good amount of furniture and found that using aquas and oranges add a great color punch and still keep an earthy tone, so I randomly brushed some paint on the wood. cool shelf from plumbers pipe! He is calling this shelf "handlebars". I am calling it a shelf. And after seeing these on Christina's blog, I decided they would add a feminine touch! She also has a great post on how "not to" kill flowers. As killing flowers or any plant for the matter, is my specialty. We also bought two of these lights, for each side of the bed. We will need these to be put in but once they are I will update you with a finished picture. I also have a plan for our night stands. From one wanna be Martha Stewart to another! Happy Thursday! Shut the front door!! I am IN love!!! I adore the turquoise accents and flood lights! Total brownie points for your man candy!! Wowwwww. Wowwy wow wow WOWWWW. This is AMAZING!!!! I love this so much, it looks so awesome! Probably the best SPD ever :) I did kinda laugh at your hubby's "handlebars" comment...leave it to a man! It looks so good! I love the aqua and orange touches! Good idea. beautiful, y'all did a great job! BEAUITIFUL! Tell him he did amazing! you know I'm a huge fan of things like this!!! 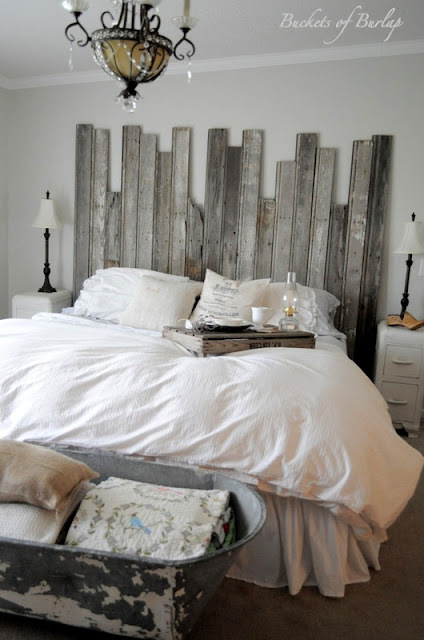 :) aka our wood plank wall and our "love" headboard. #freaks hahaha so glad you shared this with us! WOW, it looks amazing. I love everything about it. Wish you could come do my house! I saw this on HGTV and was obsessed with it! Yours looks even better!! Way to go hubby! This came out A-MAZING!!! Hubs did a great job! Love the aqua and coral accents. Ahhhmazing! ♥ I like yours best out of them all! You have such talent!! Looks awesome! Your version is better than any I have seen on Pinterest! And that shelf adds the perfect touch!!! Wow - I am obsessed with this!! I've been wanting to make a headboard from pinterest for a long time! This is incredible and very unique! This really does look awesome - kudos to you both. 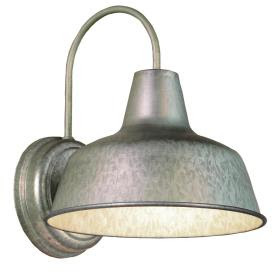 I also LOVE the lamps. Perfect combo! Like I said before.... Interior Stylist all the way!!! Gorgeous!!! OMG!!! this is absolutely amazing!! love it! Every time you show something in your house it looks amazing. Please do a home tour! Seriously looks amazing! You should be super proud of yourself! Completely rhetorical but... do you have any idea how awesome this looks?! Hubs did an awesome job and I really like the spashes of color. Can't wait to see the added lights. This is beautiful, what a great idea! I found your blog through the Tiffany & Co. giveaway and I am so glad I did, I love it and I am now following you! Happy almost Friday! I love this. I can't wait for this summer, as that is when I get my new headboard and it will be very simmilar to that one.